NextWhy Are Insomniacs Prone to Hyperarousal? Are Insomniacs Unreliable at Assessing Sleep? You’ve heard it said before: insomniacs typically overestimate how long it takes to fall asleep and underestimate the amount of sleep we get. Time and again, sleep experts ask us to estimate our sleep time. Then they conduct overnight sleep studies with polysomnography (PSG) and find, on average, that we fall asleep faster and sleep longer than we think. Are insomniacs just unreliable when it comes to estimating time? What else might account for this discrepancy? Should we be reassured that we’re probably sleeping more than we think? Normal sleepers are fairly accurate when it comes to assessing their sleep. Their estimates of sleep onset latency (the time it takes to fall asleep) and total sleep time are in sync with the results of PSG. Overall normal sleepers are also quite accurate at estimating time during the day. They can reliably estimate various time intervals (5 seconds, 35 seconds, 19 minutes) and keep a steady beat in a finger tapping task. So can insomnia sufferers. Research suggests that overall, we, too, are quite accurate at estimating time intervals and keeping a steady beat during the daytime. It’s not the perception of time per se that gets distorted in insomnia. Insomniacs’ unreliability in estimating the passage of time occurs only at the night. Most studies show that people with chronic insomnia tend to overestimate sleep onset latency. For example, after having a sleep study, you’re told you drifted off 25 minutes after closing your eyes but you could swear it took you at least twice as long to nod off. How to account for this discrepancy? One thing to keep in mind is that Stage 1 sleep—the lightest sleep stage, when the faster, unsynchronized brain waves associated with wakefulness are slowing down into more synchronized alpha and theta rhythms—is easy to perceive as wakefulness. In fact, if you’re woken up during Stage 1 sleep, you may feel you were never sleeping at all. Research has also shown that unlike good sleepers, insomniacs tend to have elevated levels of high-frequency brain activity in the period leading up to sleep. These faster brain waves are associated with pre-sleep cognitive arousal—with thinking, rumination, and worry. They’re also associated with low-level awareness of what’s going on in the environment—a flushing toilet, a flash of lightening, the smell of skunk wafting through the window. Unsurprisingly, insomniacs have been shown to take twice as long as normal sleepers to descend into deep sleep. So we’re hovering longer in the lighter sleep stages. All these things could help explain why we perceive we’re taking longer to fall asleep than PSG says we are. Not all insomniacs are created equal. When it comes to estimating total sleep time, some insomnia sufferers are relatively good at it. (And results of some studies suggest that some insomniacs actually overestimate their total sleep time.) These are the so-called objective insomniacs, whose estimates of sleep time match up pretty well with their assessments by PSG. The diagnosis for this type of insomnia is often psychophysiological insomnia. People whose sleep studies indicate they’re consistently sleeping less than 5 hours a night are called “short sleepers.” Short sleep is associated with physiological hyperarousal and an elevated risk for related medical disorders, as well as persistent trouble sleeping. Of all the variants of insomnia, short sleep is thought to be the most severe. Other insomniacs’ perceptions of sleep duration are wildly at odds with assessment by PSG. A person who complains of getting just 1 or 2 hours’ sleep a night and goes in for a sleep study is often found to be sleeping 6, 7, or even 8 hours a night. The diagnosis in this situation is paradoxical insomnia, a disorder affecting about 26 percent of people with chronic insomnia. 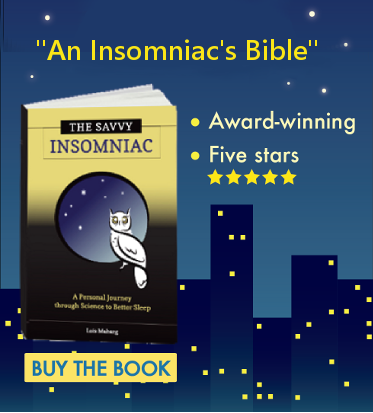 Because their sleep duration is normal and their sleep architecture (as assessed by PSG) largely intact, the thinking is that these insomniacs are getting most of the benefits that sound, sufficient sleep affords. This may be reassuring. But the jury’s still out on the underlying mechanisms at play. Multiple irregularities may contribute to the feeling of being awake when most of the brain is asleep. Should we be relieved to know that most of us are getting at least a little more sleep than we think? It’s not a bad idea. Once I stopped caring about how much I was sleeping, my sleep improved. Whether or not this would be borne out in a sleep study, it feels like I fall asleep faster and sleep longer than I did before. If you can swallow the idea that in this one place your perceptions might be a tad unreliable (believe me, I know how hard this can be! ), you won’t regret it. Great post and great information. Thank you, Dave. I’m glad you liked it and I appreciate your telling me so. 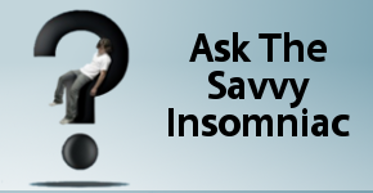 Why Are Insomniacs Prone to Hyperarousal?